Dual language, Spanish-immersion school. Small and diverse classes, Spanish instruction by native speakers, extracurricular activities, recently-renovated building, warm and inclusive community. Being a student at Beth Tfiloh is not only about achieving academic excellence in every subject, whether in General or Judaic Studies; it’s about learning and living the values we have inherited as Jewish Americans. It’s about being part of a community of Jews from across the spectrum of religious affiliation who celebrate what they have in common while cherishing their individuality. It’s about being empowered as an individual by a medley of opportunities for self-expression and growth, from arts to social activism, and athletics to political action. It’s about being prepared for life beyond the walls of Beth Tfiloh. AT BT, Baltimore’s only co-educational college preparatory Jewish day school for preschool through 12th grade students, being a student means being prepared for life beyond the walls of Beth Tfiloh so they can meet local and global challenges of contemporary society. Transportation: Public and private transportation options are available. Students benefit from small class sizes where each boy is uniquely known, valued and empowered to strive for academic and personal excellence. Cardinal Shehan School recognizes itself as an anchor in the Loch Raven Community. We offer a highly competitive edge in Technology and academics. We are blessed with having a Nationally acclaimed school choir that has appeared on such prominent programs as The View and Good Morning America. We embrace our motto, “THE PEACE YOU SEE IS THE JESUS IN ME”. The Catholic High School of Baltimore has provided a quality, college preparatory education, rooted in the Franciscan tradition for young women since 1939. Catholic High challenges young women to academic excellence, to responsible leadership, and to Christian community service. Catholic High offers many programs such as STEM, Biomedical, Visual & Performing Arts, Law and Leadership, and Archangel. We offer our families a Tuition Guarantee. You can budget for your daughter’s high school tuition cost, knowing there will not be any increase in tuition through senior year. This does not include annual fees, which are subject to change. Creating knowledge that sticks through hands-on learning, unique opportunities, leadership and a spirited community, which includes international, national and regional boarding (8th-12th). Private, co-educational, non-sectarian Pre-K through Grade 12 on 250 acres. 100% college acceptance rate, competitive athletics, foreign language requirement. Leadership focus. Accredited. Located on 90 acres of land in Howard County. Offering outstanding educational opportunities for over 60 years that nurture a passion for lifelong learning, personal integrity and respect for others. A private, accredited school with small class sizes and veteran teachers, striving to make a difference for every child. Education with an Eternal Purpose. A progressive community-based learning experience. Creative curricula, experiential learning, multi-age groupings, inspired teachers, AIMS accredited. Greenspring Montessori School is an independent, non-profit school serving children ages 18 months through 9th grade using the Montessori method. Offering toddler, primary, elementary, and middle school programs, as well as Spanish dual-language classes, music and art classes, after-school activities, and more. Children benefit from individual and small-group lessons, research and exploration, and increased confidence and independence. Founded in 1962, Greenspring Montessori is located on 7 acres of historic farmland in Lutherville-Timonium. Religious Affiliation: Independent. No religious affiliation. Harford Day is a private independent school in Bel Air, Maryland enrolling over 275 students from 3-years-old to Grade 8. The oldest independent school and only AIMS accredited PK3-8 school in Harford County, Harford Day is known for a challenging, inquiry-based, academic program, and for building strong character in its students. Accredited by AIMS and the International Dyslexia Association. A co-educational, college preparatory, independent day school for talented and bright students in grades one through twelve with dyslexia or other related language-based learning differences. Addresses students’ intellectual strengths as well as their learning needs by utilizing creative, multi-sensory, research-based programs and techniques. Academic and recreational summer programs are also offered. The John Carroll School offers a Catholic, co-educational, challenging college preparatory program that incorporates critical thinking, independent exploration, a global perspective and real-life experiences. Our rigorous academic programs enable students to transition to college-level courses with confidence and ease, and our highly qualified and engaging staff nurture and motivate students to reach their full potential every day. Krieger Schechter Day School is a co-educational, K – 8, independent Jewish day school offering exceptional academics and a dual-language curriculum within a vibrant community. Our AIMS-accredited program is recognized by top Baltimore-area high schools and, later, by highly-regarded colleges and universities. For 30 years, Lindamood-Bell has been teaching students to read and comprehend to their potential. Research verifies that when the imagery-language foundation is in place, students’ lives change as they experience success with all learning. 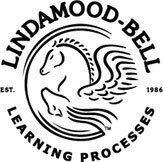 The Lindamood-Bell Academy offers individualized instruction, a flexible learning environment (at our Learning Centers and/or online), and is available for K-12 grades. It is an excellent solution for students of all ages who require or thrive in non-traditional teaching environments. Affiliated with the Sisters of Notre Dame de Namur, Maryvale combines tradition with the latest trends in technology and education to offer an invaluable 21st century, college preparatory learning experience. With an 9:1 student-to-faculty ratio, Maryvale gives every girl the skills and confidence to learn, lead and succeed throughout the school day…and throughout life. Educating and empowering girls to become women who transform the world and pursue academic excellence. Specialized instruction for bright children with dyslexia and language-based learning differences. Provides an environment where girls feel comfortable, supported, and encouraged to explore new experiences and take risks. OLPH School is a National Blue Ribbon School of Excellence. Our Catholic school is dedicated to educating the heart, mind, and soul of every child entrusted to its care. We provide individualized attention in a nurturing, Christ-centered environment. Students receive a values-based education, enriched by interactive learning, a focus on STEM, and rooted in the fundamentals to nurture a life-long love of learning. Students in grades 3-8 benefit from our 1:1 Chromebook program. All classrooms have interactive projectors. Please see website for Open House schedule or call for a tour and see our new makerspace engineering lab. Founded in 1912, The Park School of Baltimore is an independent, coeducational, non-sectarian, progressive Pre-K through 12 school located on a 100-acre campus minutes from the city. Park students are inquisitive, comfortable in their own skin, show and earn respect, and are mature beyond their years. They are bright, motivated, curious, and love to explore — always asking “What if?” and “How and why?” and “Why not?” By immersing students in a challenging curriculum and surrounding them with a dedicated, impassioned faculty, we create an environment that enables them to become their best authentic selves. Having experienced diverse perspectives and positive expectations, Park students venture into the world with the knowledge, the confidence, and the skills they need to become successful adults. 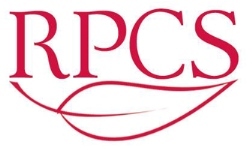 A college preparatory school for girls in grades K-12; preschool for girls and boys. Rigorous and relevant academics combined with the arts and athletics. The STEM Institute and Foreign Language certificate programs. A tuition free independent middle school for boys serving families of modest income. Focusing on developing the intellectual, spiritual and physical qualities of each student. St. James Academy is a leading PreKindergarten through Eighth Grade independent school. The Academy is dedicated to providing a program of excellence while developing students to their highest potentials. Enriching classroom instruction inspires creativity and promotes exploration. Lessons encourage open-ended conversations, inquiry, and critical thinking while balancing important developmental concepts and skills. The curriculum builds year upon year, thus preventing gaps and ensuring ten consistent years of academic preparation for success in high school and beyond. The academic program includes accelerated small group math and reading instruction and intentional technology integration. World Language classes begin in PreKindergarten as cultural exploration and continue through Middle School. Students study visual and performing arts including chorus, band, and drama. There are three after-school musicals per year. The artist-in-residence program and visiting author series further enhance the student experience. Students in Fifth through Eighth Grades have opportunities to participate in interscholastic athletics. St. James is one of the few schools authorized with the prestigious International Baccalaureate Middle Years Programme. This program lays the foundation for success at the highest academic levels in high school and college. Challenging curriculum in a nurturing environment. AIMS certified. Maryland Green School. Transitional Kindergarten program for children who have already completed a 4yr old program, but could benefit from another year of Kindergarten. A national Blue Ribbon School of Excellence where Catholic teaching, values, and academic excellence endure. Open House the first Wednesday of every month from 9:30 am to 11:30 am. Students receive a well-rounded Catholic education integrating spiritual growth with academic excellence. The PRIDE (Pupils Receiving Inclusive Diversified Education) Program provides students with an adjusted curriculum for math and language arts classes. As a Maryland Green School, we incorporate local environmental issues and STEM related lessons into authentic classroom learning while promoting community stewardship. Students participate in service and outreach programs and develop an awareness of the world beyond the classroom. St. Paul’s School is a kindergarten through 12th grade college-preparatory day school in Brooklandville, Maryland. Students encounter limitless opportunities to pursue existing passions and to uncover interests and talents they never knew they possessed. Our student-teacher relationships foster an environment where students develop compassion, courage, and curiosity. St. Paul’s is coeducational in the Lower School (grades kindergarten-4th) and all-boys in the Middle and Upper Schools (grades 5th-12th). We share a campus with St. Paul’s Plus coed Preschool and St. Paul’s School for Girls, grades 5th-12th. Offering a PreK+ Program for older 4 year olds and 5 year olds who will benefit from another year of preschool before kindergarten. Baltimore City public charter school. K-8 is co-ed, 9-12 is girls only. AIMS accreditation, Maryland Green School certification, challenging curriculum, Jewish values, Hebrew language, nurturing environment, strong sense of community; all are welcome. AACS is an independent, Christian day school offering college preparatory academic curriculum, competitive athletic program for middle and upper school students and outstanding fine arts, including theater, choral, band and visual arts. Together with parents, we nurture Christian faith, build Christian character and foster personal achievement in students. We have 4 locations, two in Annapolis and two in Severn. There are 69 Catholic preschool, elementary, middle, and high schools in the Archdiocese, located in Baltimore City and eight surrounding counties. School follows the Sudbury philosophy of education, and is a working democracy where students and staff together run the day-to-day operations of the school, including budget and personnel. A public charter school with five total immersion programs: Spanish, Chinese, Arabic, Russian & French. International Baccalaureate (IB) for grades K-5 (Primary Years Program) and 6-8 (Middle Years Program)– International Education for Global Leadership. Baltimore Lab School provides an exceptional, college-preparatory education for bright students with learning disabilities in grades 1-12. These disabilities include ADD/ADHD and dyslexia as well as other learning difficulties. Our innovative, arts-infused curriculum is experiential and multidisciplinary, specifically designed to help young learners overcome challenges with reading, spelling, writing, and math, while preparing them for a rewarding range of college and career choices. In addition to mastering core academics, Baltimore Lab School students explore the visual and performing arts, participate in outdoor education and athletics, and gain confidence, self-esteem, and self-awareness. Students thrive academically and socially in small classes with an exceptionally low teacher/student ratio. Every teacher at Baltimore Lab School is highly trained and certified in special education, diagnostic-prescriptive teaching, and intensive academic remediation; most hold master’s degrees. Every Baltimore Lab School student benefits from one-on-one evaluations and customized academic strategies specifically targeted to his or her needs. Fulltime on-site occupational therapists, speech and language pathologists, and psychologists are active in the classroom and offer specialized services in individual and small group sessions. A charter school for young women convenient to bus lines and the light rail. For the 2015-2016 school year our upper school will extend to grade 12. A progressive independent school that supports students and families. 2, 3, and 4 days options. School develops an education plan with the family to create an experience that is best for the student. Secular, diverse, and inclusive. A multi-cultural and student-centric school where students practice respect for God, others, and themselves. Tuition includes class supplies for up to grade 5 and all required books for grades 6-8. Innovative college-preparatory program for girls in grades K-12. Coed Little School accepts children from 2 mos.-5 yrs. Transportation: Bus transportation in Glen Burnie and surrounding areas. Calvary Baptist Church Academy is a Christian school in Glen Burnie, MD that focuses on excellence in education. CBCA has classes from K3 & K4 (Pre-school) all the way through the 12th grade. Our students test 1-2 grades higher than national average. Come grow with us! A Catholic & Lasallian college prep school providing a diverse community of young men with a Christian education through academic and extracurricular programs that promote leadership, achievement, and service within the church and community. Christ-centered curriculum that uses integral themes to tie all subjects together, building a foundation of faith and character. A rich classical education filled with meaningful experiences and service projects, complementing home and church life. Christ-centered theme is central in a small environment to meet the needs of each student. Starting with children as young as 2 who are fully potty trained. Students in PreK2-PreK4 are 12 months. Emphasizes a biblical world view, Christ-centered relationships, academic rigor and Christian stewardship. An AMI Recognized Montessori school. AIMS accredited and a designated Maryland Green School. Programs from 18 mos. to 14 yrs. Baltimore City Charter school. Enrollment begins in December and open house dates are typically January and February. Enrollment based on a lottery system. Transportation: Bus service to and from the Catonsville area and Bel Air for an additional fee. College preparatory, Christian education. Small class sizes, caring teachers, AP/College level classes, interscholastic athletics, music, drama, visual arts, student government, more. Safe and beautiful campus in a prime location. STAR program for college-bound students with learning differences. Catholic, co-educational, college preparatory school empowering students in Baltimore City to succeed in college, work, and life. 100% of graduates have been accepted into college. Admitting students of all faiths. Emmanuel Lutheran School is a co-educational, Christ-centered school that has been offering a rigorous curriculum since 1956. Emmanuel Lutheran School has been awarded the Certificate of Approval from MSDE. Vision is to prepare our youth for the 21st century while giving them the opportunity to learn, love, and live. Founded in 1784, Friends School of Baltimore is a private coeducational Quaker-based day school serving approximately 800 students in Pre-K through 12th grade. Teachers guide the learning process and engage students in the classroom through inquiry and dialogue, and by creating a learning environment where girls and boys, adults and children, learn from and with each other in a spirit of mutual respect and trust. Trained and certified teachers provide quality care and instruction based on your child's developmental needs in secure, loving classrooms. A diverse community dedicated to educating boys in mind, body, and spirit through particular emphasis upon academic excellence, athletic participation and aesthetic appreciation. A non-denominational Christian School, offering a broad range of fine arts and athletic opportunities. Affordable transportation option. Private tours available. Offering a full academic program for bright students in Grades K-11 with dyslexia, ADHD, and language-based learning differences. Individualized instruction and technical arts program. HACS believes every child thrives in a safe, peaceful, prayerful, and encouraging environment. Open to children of all faiths, we offer an academically-excellent education in the Catholic tradition and provide opportunities for rigorous and relevant 21st century learning experiences for our students. STEM focused. ICS is a historic National Blue Ribbon Catholic parish school focused on academic excellence and faith formation in a safe, secure and nurturing environment. Our Pre-K program is certified by the MSDE as a Level 5 Maryland Excels Preschool Program. ICS is a Maryland Green School, utilizing “PBIS” positive behavioral support and interventions. In addition to our Blue Ribbon status, our school is proud to focus on STREAM studies which include Science, Technology, Religion, Engineering, Art and Math. Welcome to ICS – your child’s future begins here! ICS prepares students for their future by relentlessly pursuing innovative and effective ways to teach and engage students. Our teachers build strong, collaborative relationships with students, apply the most current educational research, and develop challenging, innovative classes, resulting in a rich and rewarding learning experience. Indian Creek School is proud to announce a new tuition structure to help make an ICS education affordable for more families. Indian Creek offers a range of tuitions with a specific number of placements in each grade available at each level. Our goal is that each family’s tuition level be an amount that demonstrates the priority placed on providing an exceptional education for their children. Contact us for more information! Key School engages children from 2.5 years of age through grade 12 in a progressive, coeducational, college-preparatory, day program on its picturesque 15-acre campus located 4 miles from downtown Annapolis. Key School provides a dynamic education that demands rigor, intellectual independence, creativity, interdisciplinary thought, and openness to differing perspectives through academic and co-curricular programs that teach students experientially, as active participants in the learning process. Our mission is to nourish and guide their natural exuberance, energy, and delight in the search for meaning, so that each student embraces lifelong learning and develops into an informed, thoughtful, and constructive member of society. Highly structured and specialized instruction for dyslexic children and related language-based learning differences. Established in 1980 as a ministry to the Christian community in the Greater Carroll/Baltimore area. Offer educational program and summer camp opportunities. Discover why we were voted the Best Montessori School in the Annapolis area for the fourth year in a row! We inspire excellence, encourage curiosity and enhance creativity. Montessori International educates children from 18 months through 6th grade in a nurturing atmosphere that emphasizes hands-on experiential learning, respect for self and others, and the development of critical thinking and collaboration skills that last a lifetime. Extended Day program available from 7:30am – 6pm. Call to arrange a visit. Individualized academic program with outdoor environment including vegetable and flower gardens, hens and playground. Spanish, yoga, art and music weekly. Toddler, Primary and Elementary. Free tuition – applicants must meet income guide. A well-rounded education in a Christian environment. Academic program challenges students to succeed in preparation for high school. Spacious grounds offer lovely setting near Elkton. Sponsored by the Xaverian Brothers, school strives to be a community of growth characterized by enduring personal relationships, an emphasis on spiritual formation, a challenging academic program, and a commitment to justice and peace. 128 St. Mary's Church Rd. A unique, intimate, community-based school focusing on the development of the whole child. The academy guides students on their academic journey through internal and social awareness, cultural enrichment, and development of the physical self. Family-friendly school, with highly skilled, nurturing teachers, exceptional academics, and lovely facilities. Each Pre-K and K class has a teacher and aide. Christian, classical, and developmentally appropriate. Full and part-time K3,K4 and K5 available. A school invigorated by faith, infused with knowledge, and inspired to serve. Developing life-long learners, who behave ethically, value the dignity of others, and work for social justice. A community-centered learning environment that values diversity and embraces a whole child approach to develop well-educated citizens. Classical Education is the time-tested, proven model of education: The Uncommon Core. Classes include Latin, Logic, Debate. Develops global Christian citizens equipped to positively impact the world through excellence in communication, science, technology, engineering, and mathematics (C-STEM). Rock Church Academy has spent over 35 years tailoring age-appropriate learning experiences with Christian-centered values. Whether it is in the classroom, or on the playground, RCA grows principled young people. 140-acre, wooded campus. College preparatory school, including AP courses in the Upper School, arts program, strong athletics, and an emphasis on Quaker values of simplicity, peace, integrity, community, equality, and stewardship. Celebrating rich traditions of the past, working collaboratively with parents to invest in the present, and building for the future. The purpose of our tuition-free school is to educate girls who would not otherwise have access to an engaging and challenging middle school education. We offer a rigorous curriculum and holistic academic program that encourages each student’s intellectual, social, physical, and spiritual development. Our school was founded and is supported by four congregations of religious women. We are a non-profit organization. Sisters Academy welcomes girls of all races, ethnicitys, and religions. Expeditionary learning school in southwest Baltimore, known for strong culture, rigorous expectations, and art-infused curriculum. Founded in 1857, school offers technology integration, religion instruction, character education, and a host of extracurricular activities. We welcome both Catholic and Non-Catholic students. Tuition: If a student is enrolled as a private pay student, you will be expected to pay tuition. Students referred by their local school systems: tuition is paid by local and state education funds (afforded a Free and Appropriate Education under IDEA and COMAR). Transportation: Serving students from Central MD and counties across the state including but not limited to: Baltimore City, Anne Arundel, Baltimore, Calvert, Carroll, Frederick, Harford, Howard, and Montgomery Counties. Individual counties provide public transportation. Accredited for the International Baccalaureate Middle Years Program. Of note: Spanish, STEM, nature studies, 1:1 iPad program in MS. Strong preparation for high school. A STEM Catholic School. Mission is to create a vibrant 21st century learning environment that infuses a rigorous, integrated STEM-based curriculum with the richness of the Catholic faith. The Technology Fee of $50 or $100 is the ONLY additional fee our school charges. A National Blue Ribbon School for K-8 offering a private Catholic education in preparation for the best Baltimore area high schools. Interested students encouraged to become a "saint for the day." Strong academic curriculum, seasoned teachers, disciplined environment, STEM focus, First in Math Program available, weekly mass, hot lunch, regulation gym, CYO basketball, stationery store, Excellence in Education Parent Fund, nurse, counselor. Offering a Christ-centered education in a nurturing environment with loving and dedicated teachers. Founded in 1957, St. Paul’s Lutheran School has been providing academic excellence in a safe, nurturing, Christian environment with a strong sense of community. Small class sizes foster individual attention leading to high achieving students. Learning, praying, making friends, providing a strong academic curriculum enhanced by the arts and athletics. Before and After School Child Care also includes a program for two-year olds. SPSG is a college preparatory school that educates hearts and minds in an inclusive environment grounded in the Episcopal values of respect, integrity, and growth. We cultivate a bold and courageous community of unique girls who will use their education and ethics to improve their world. By combining a total focus on the individual student with total support for our entire student body, our young women are energized and empowered to explore their boundaries and live beyond them. At SPSG, we’re developing confident young women who are ready to take on what matters most – from physics to philosophy and medicine to management. MSDE approved. All classroom teachers are degreed and certified. Computers in all classrooms. Follows a Montessori Program from PreK 3yr olds through 3rd grade. 4th grade through 8th grade is rooted in a traditional curriculum preparing students for college prep high schools. An all-girls secondary residential International Baccalaureate (IB) World School, seeks students of intelligence and integrity from diverse cultural, racial, socioeconomic and geographic backgrounds. We are a thriving Pre-K (4) through 8th grade Catholic School, rooted in Catholic values and high quality academics. Since opening our doors in 1940, we have remained dedicated to providing our students with a superior educational experience that goes well beyond what is learned in the classroom. Our students develop into well-rounded individuals, who show compassion and concern for others. The safe and loving environment of St. Ursula School encourages its students to grow spiritually, socially and emotionally. Traditional Private Montessori school, founded 1967. We are MSDE and OCC certified. We serve children ages 18 months-9 years (Toddlers-Third Grade). Tours daily. Private Montessori school, founded 1967. We are MSDE and OCC certified. We serve children ages 18 months-9 years (Toddlers-Third Grade). Tours daily. Educating Children of all faiths. Attend our upcoming Open House on Monday, January 30, 2017 at 9:00am. If unable to attend the open house, please call for a tour. Discounts available for multiple children. Tuition assistance available to all families in need. A coeducational day school in historic Mount Vernon; a warm and supportive environment for all students. A public school with charter status, serving students in its enrollment zone and then by lottery. Providing students with the skills to succeed through a highly qualified staff, strong academic programs and a dedication to the strength of community.